Giving up may sound like a negative phrase, and it often can be. But when it comes to the season of Lent, giving up is one of the best things we can do. Growing up, I was always used to people around me “giving up” something for the Lenten season. I never understood why, I just assumed that we became more spiritual by not eating chocolate, drinking coffee, etc. Through what I have been learning in the Discipleship Program, and in seeing the lives of GFA staff, I have been realizing that there is more to Lent than this. I don’t want to participate and enter into Lent because someone told me to, or to look better than those around me. Rather, I do this because of my love for my Saviour. If there is anything hindering me in my walk with the Lord, or something that is not aiding me, I need to remove that from my life and replace it with a new practice that will draw me closer to Him. 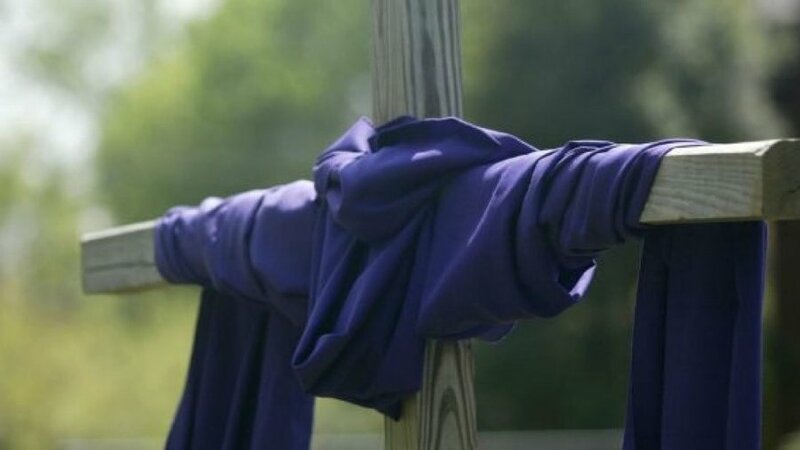 Lent is a time of mourning and repentance that helps me to remember my sin, the suffering and death that Christ went through to free me of it, and what it looks like to live in the power of the Holy Spirit. As I prepare my heart for Easter, for the great celebration of Christ’s resurrection; like He did, I first go through the pain and the suffering before the victory. In Lent this year, I feel the Lord is really teaching me about my sin, specifically being judgmental of others. In the past, I have been very quick to quickly gloss over it or justify it, and to remind myself that Jesus has covered it all, and so I don’t need to think about it. It is most certainly true that Jesus’ blood has paid for my sin in full. But to live the free and victorious life that Christ has bought for me, I need to identify and confront the sin in my life, and in the power of Holy Spirit conquer and defeat it. This is somewhat like weeding a garden. The longer I leave sin in my life, the deeper it grows and the harder it is to pull it out by the roots. If I simply gloss over my sin and remove the visible signs, but leave the roots intact, it will quickly grow back, as I was often reminded by my mother when working pulling weeds in the garden. I also will not be able to pull out the weeds if I do not look carefully and identify them among the plants in the garden of my heart. Each year I look forward to Lent and don’t at the same time. For me, going through Lent is a painful journey. It hurts to look at all the ugliness that remains in my life, and how often I do not surrender to Jesus. But it is a beautiful road too. It may not be easy to fast, to spend extended time in prayer, and to root out sin, but in the end, it is so, so worth it. I love to walk with my Saviour, to get to know Him more and more.